Issah Mmari (May 20, 1981 - March 16, 2003) better known by his stage name E-Sir was a Kenyan hip hop artist signed to the Ogopa Deejays label. He was famous for his deft lyrical ability and command of the Swahili language. Even long after his death, he is still widely regarded as one the best rappers to emerge on the Kenyan hip hop scene. Issah "E-Sir" Mmari was born in California Estate, and raised in South C estate Nairobi, Kenya). He first came to be known in 2001 with his song "Jo", done in the same style as Black Rob's "Whoa". The song was E-Sir's major hit in the Kenyan music scene and was featured on the Ogopa DJs debut album. He went on to release his debut album Nimefika in 2003 which was a big hit, with virtually all the album tracks becoming radio singles in their own right. E-Sir won in four categories in the 2003 Kisima Music Awards. Hits included "Mos Mos", "Boomba Train", "Hamunitishi" and "Leo ni Leo". He also recorded "bamba" featuring Big Pin & K-rupt. The latter also died in tragic carjacking incident the same year. E-sir's younger brother Habib is also an upcoming rapper in the Kenyan music industry. He has couple of singles to his name, some of them with his partner Manga. 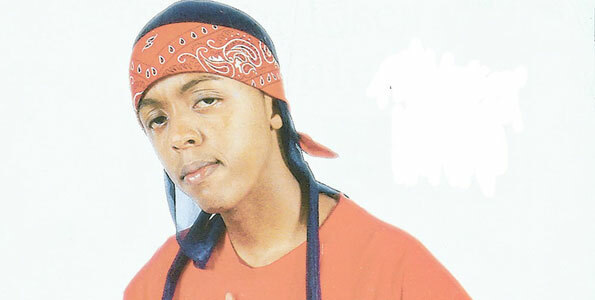 E-Sir died in a road accident on March 16, 2003, while in the company of fellow label mate Nameless (real name David Mathenge). He was on his way back from a concert in Nakuru town to help promote his album. His death created shock and grief particularly as it came when his career was taking off. His collaboration with Nameless titled "Maisha" was released posthumously and was also a hit. Song of the Year for "Boomba Train"